These are our male Teddy Roosevelt Terriers. They are all DNA profiled and tested for all genetic tests pertinent to our breed. They are all individuals that add something different to our program. 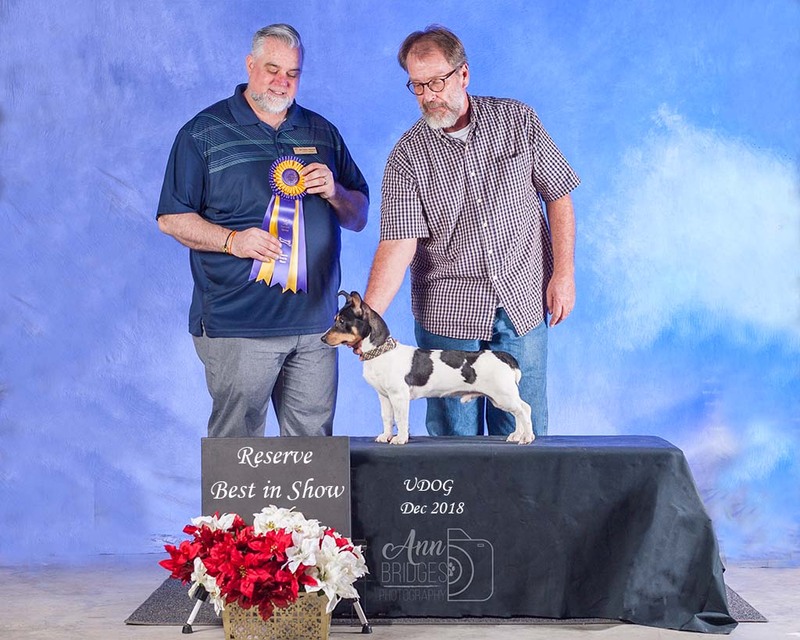 These guys are all registered with the United Kennel Club (UKC)and with the American Kennel Club Foundation Stock Service Program (AKC FSS). We are almost done EMBARK testing all our males, this screens for ALL DNA identified health issues and gives us numerous trait markers associated with our breed. Our puppy males we've retained and are watching grow! CH Big Grove's East Bound N Down aka "Bandit"